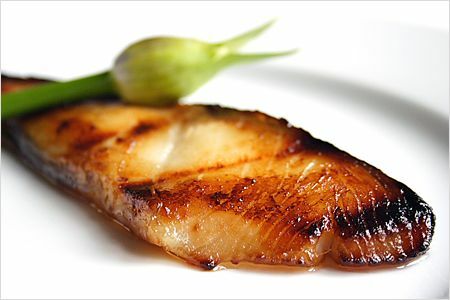 Miso Cod – delicious, moist, tender, and crazy delicious cod fish marinated with Japanese miso. This miso cod recipe is made famous by Nobu Matsuhisa. I love Japanese food, but not every kind of Japanese food. For most people in the United States, Japanese food means sushi, sashimi, teriyaki, and tempura. While I enjoy teriyaki and tempura quite a bit, I don’t really like sushi and sashimi all that much. I know, how can I not like sushi and sashimi? Well, for starters, I am painfully fussy, selective, and peculiar when it comes to eating. I love little edibles but I have yet to acquire the liking for sushi. And when it comes to eating raw, there are only two kinds of raw food I would eat: oysters and geoduck clams (raw fish is too mushy for my taste). Well, there you have it. I am impossible to please and am very inconsistent when it comes to food. Other than sushi and sashimi, I can pretty much acknowledge that I adore Japanese cooking—the light yet invigorating flavors and the delicate presentations. 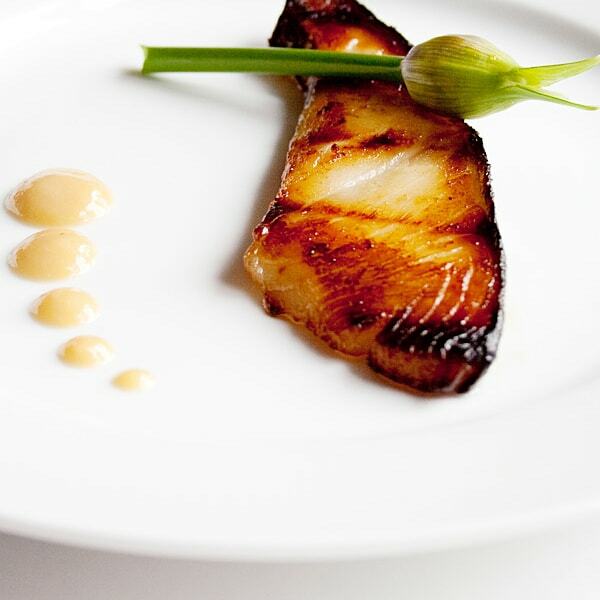 Japanese food is so refined, elegant and beautiful, just like this baked miso-marinated black cod. 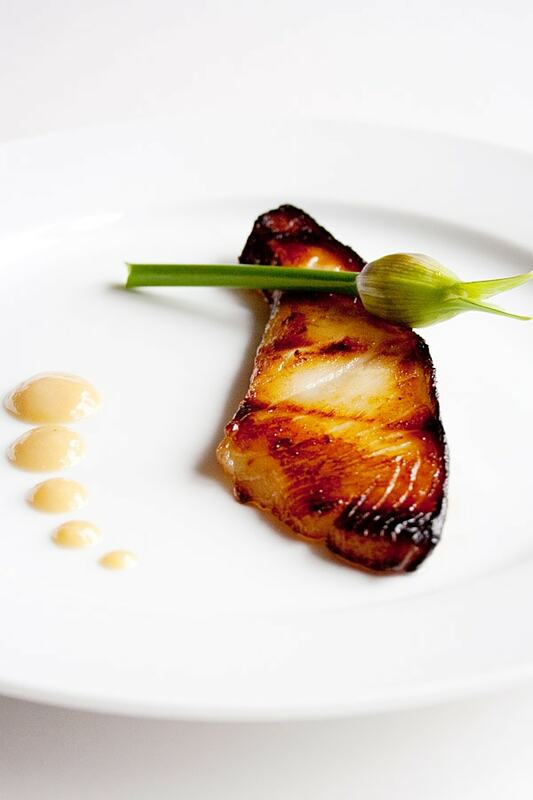 Made famous by Nobu Matsuhisa and one of Robert De Niro’s favorites, I fell in love with black cod with miso since the first time I had it. While this recipe is not too hard to make at home, ordering it at Japanese restaurants here in Southern California is quite expensive. So, I bought Nobu: The Cookbook and slowly but surely make all my favorite Japanese dishes (check out my baked scallops recipe). 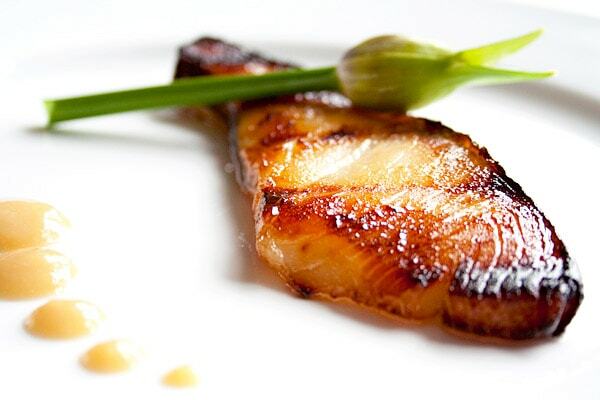 Miso Cod - delicious, moist, tender, and crazy delicious cod fish marinated with Japanese miso. This miso cod recipe is made famous by Nobu Matsuhisa. Mix the marinate ingredients thoroughly in a plastic container (with lid) and set aside. Save some for plating purposes. Pat the fish fillets dry with paper towels and put them into the plastic container with the marinate. Cover the lid and leave to steep in the refrigerator overnight or for 24 hours. Preheat an indoor grill at the same time. Lightly wipe off (with fingers) any excess miso marinate clinging to the fish fillets but don't rinse it off. Place the fish on the grill and lightly grill on both sides until the surface turns brown. Add a few extra drops of the marinate on the plate and serve hot. You can substitute black cod for see bass or salmon or any kinds of flaky fish fillets. There are many different kinds of miso (red, brown, white, and more). Make sure you get white miso. I like my miso cod more intense with the flavors of sake and miso, and that being said, the marinate sauce might be too watery for plating purposes as one of my readers pointed out. Heat up the sauce to thicken it if you wish to use it for plating. Or if you like, you can reduce the amount of sake and mirin to slightly less than 1/4 cup each. Use 5 tablespoons miso if you prefer a deeper miso flavor. Wah, this fish looks so good like what you get high-class restaurant. These dishes look amazing..I like trying new dishes..This looks awesome..I will surely try it someday..Thanks for sharing such a wonderful dish recipe..
Amazing photography! I’m hungry now. What is the bud on top of the fish? but my pics aren’t as good as yours. Your miso marinated cod fish looks really, really good. I dare say, it looks better than the one they serve at Nobu. Unlike you, I love sushi and sashimi, and raw food. I love raw broccoli, cauliflower, cucumbers, tomatoes, (basically any salads). I also love my hamburger medium rare (ie. seared on the outside, raw in the inside). I had beef tartar for the first time in Zurich three years ago and loved it. I think the reason I love raw food so much is because I don’t like cooking and I hate the smell of food in my (small) apartment. Those are really gorgeous photos, I can just eat it off my screen. :D Is the sauce on the plate excess fish marinade that was cooked down or was it set aside before marinating the fish? Amy, read the entire recipe… all two paragraphs. I love making this dish too. I use a blend of red and white miso to give it some extra punch. Great photos, it looks so delicious. However, I’m a sushi lover. Anonymous – Thanks and yes, I followed the presentation on the cookbook and tried to create a restaurant serving. Tiga – I had a few pieces mah…I wanted to get big pieces, but found only small pieces in the Japanese market. Japanese marinates and cooking wines are worth to have in your kitchen…really! Nate 2.0 – thanks for the link…they looked awesome…big, fat and juicy fish steak, not like my little black cod fillet. Ming – yes, the smell of cooked food in the house is unpleasant sometimes, especially the after-smell. I always have to open my windows and blow the odor out after cooking, but it still lingers. CP – A blend of red and white miso…yeah, why not? Gazard – Thanks. I eat sushi (like soft shell crab roll) but not the fish one. The Expedited Writer – I think I need another macro lens to really serve me well. LOL. I am never satisfied. Hi RM, yur cod looks really-really good. Will have to save up some $$ to get them. They are pretty expensive over here!!! Hey, saw you on Jen’s blog and decided to pay you a visit. Great pictures! Love your recipes. Will visit again soon, RM! wei, bila buka restoran ah? Hey! I went to Koi Palace for dimsum today. Not bad not bad! But hor… SUPER crowded until quite scary. I was there at 10:45am, my queue number was 80 and the number being called at that time was 53. Hey Rasa, thanks for dropping by.I love your blog too,fantastic pictures and great matter.Love the way this sole has caramelized around the corners.I’d love to try that out.Beautiful presentation. WMW – Thanks…I have a new camera mah. Tricia – Here in the US, 1lb is about $16. How much is it in AU? Simcooks – oooh, Koi Palace. I haven’t been there for ages, used to live like 3 minutes up hill from Koi. I think it offers the best dim sum in the whole US. I am not kidding. The line is impossible I know, but if you go during peak lunch hours, the wait is even more painful! All this after seeing live cod swimming..hahaha. Ee Chian – Thank you! I have so much to learn from you Bee. I just read over the comments and many people said what I was planning on saying! But I’ll say this: I will totally be an investor in the Rasa Malaysia Restaurant, b/c with your cooking skills, my investment will guarantee a return of over 100%! And, if I am an investor, can I eat your food all the time, every day, every minute? No pressure. I’m in Toronto, the prices should be about the same as U.S. … I think around $21 or so … working in the exchange rate!!! wow..looks real yummy! thanks for sharing the recipe..will definitely try it! Looks delicious! I agree that Japanese cooking is refined and elegant, maybe too much so, it intimidates me. But thia fish looks so yummy, so delicately savory… Love the picture. You really have a gift! Rasa M, you must be so proud of your camera and the cod fish! Hi RM, I found your blog via Serious Eats. Your pictures are amazing! 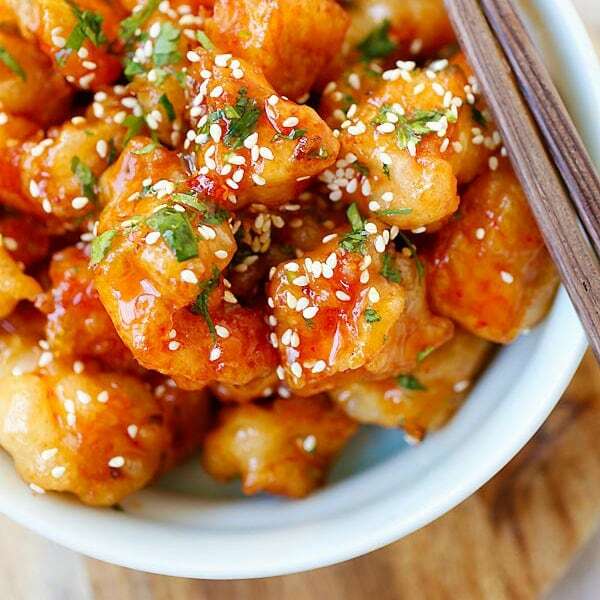 I’ve tried a similar recipe with salmon and miso, but your recipe looks so good. I’ll be sure to come back to your blog often. Based on the choice of menu items of most of my friends who like to frequent Japanese restaurants, I think this is easily one of the most popular dishes. The other is grilled salmon. Black cod is an excellent choice suitable on any day! Wow! absolutely gorgeous! see that you are making full use of your new camera! lovely snapshots. will be trying this recipe very soon and hope to post it for your review. The dish looks absolutely delicious! However, since the fish was marinated in the miso mixture, is there a salmonella concern when using the same mixture for plating? PE – haha, thanks for wanting to be my investor, but the problem is if I cook and we eat, we might finish up all food before our customers come. LOL! Tricia – oh, good I think the black cod is worth the price. I like it very much. Minami – Thank you and yes do try the recipe. KP – yes, I love the camera and yes, I took the fish from every single angle. LOL. Marvin – yes, please do come back more often. Yeah, this recipe will work well for salmon too, but I prefer black cod over salmon. Bayi – correct, this is fast becoming a must-have dish in upscale Japanese restaurants. Alex – no I didn’t use the after-season mixture for plating…I saved some before I marinated the fish. So, no worries and no health concerns. Hehe. Great! That makes perfect sense. How did you get the drops perfectly circular like that? oh how could i have missed this!? drooooooooooool. the pictures a stunning, wow! i love how you achieved the most perfect charred pieces. i bow to you! First time to your blog, came over from susan’s fat free vegan…I am totally engrossed in this site…your photos are master piece, how do u take those snaps? its really v v v cool…. This is awesome! I just made it. My kids love it. I’ve found your recipe similar to NOBU’s famous “Black Cod with Miso”… what a coincident??? Thanks, this recipe is one of my wife’s favorites. I tried making this last week but I wasn’t able to get it looking the same. How do you avoid overcooking the fish? When you grill it to get it blackened, doesn’t that end up cooking the fish through resulting in overcooking after 10 minutes in the oven? Just love the texture of the fish! the fish just melt in my mouth! a recipe that should be exploited! I have added this to my meal planning post for the week. Can’t wait to try it. Do you think there is any harm in marinating the fish for more than 24 hours? say I marinate it today (Wed) and cook it on Friday? If your sashimi is mushy, then it’s probably bad or old. Fresh sashimi doesn’t have a mushy or slimy quality. I really recommend trying more sashimi and sushi; the good stuff is incredibly delicious. I was just wondering if you knew of a website where I could buy the mirin, sake, and white miso paste. No stores sell them where I live. Thank you. Never mind about the sake, I found a place where I can get some. Wow this looks like it would just melt in your mouth. I love the char accents and delicate looking textexture. I will have to give this a try sometime. Thanks and cheers! Hello. I’ve eaten twice at NOBU and have had the black cod with miso. I LOVE IT. If you could let me know if there are different flavors of mirin, could you please let me know which one is used in the NOBU recipe. Hello again. I forgot to ask about the Sake. I know Sake has different flavors. 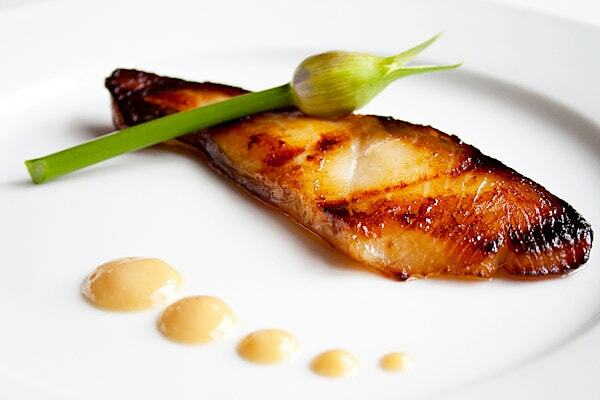 Could you please let me know which Sake to use to make this mouth-watering black cod? hi with what can i substitute the sake?and what is miring?? Sake is rice wine, mirin is sticky rice wine. Hi!! What if I don’t have a grill?? Can I pan fry it and if so, for how long..? Thanks! Hi Rasa, your pictures are beautiful. I was just wondering about the ratio of the miso paste vs the liquid in the marinade.. With half a cup of liquid and 4 tb of miso paste, my marinade was very liquidy. Did I do something wrong? It’s not solid enough for me to add drops when plating. I am not sure about the ratio, I did this recipe a long time ago. If the sauce is too liquidy, then heat it up and thicken it. heyyyy just wondering when u say sake…do you mean cooking sake or normal sake?coz i tried the receipe once and it was a bit too sweet!thanks! Cooking sake. If it’s too sweet, then put less mirin. Hi, I am planning to try this recipe tonight. Just wondering what you would suggest serving it with. Thanks! Currently I have red miso. Will this not work? White miso will work better because of the sutler taste. I was searching this kind of posting ….. I liked your blog. Your blog contains some great recipes that really i love. 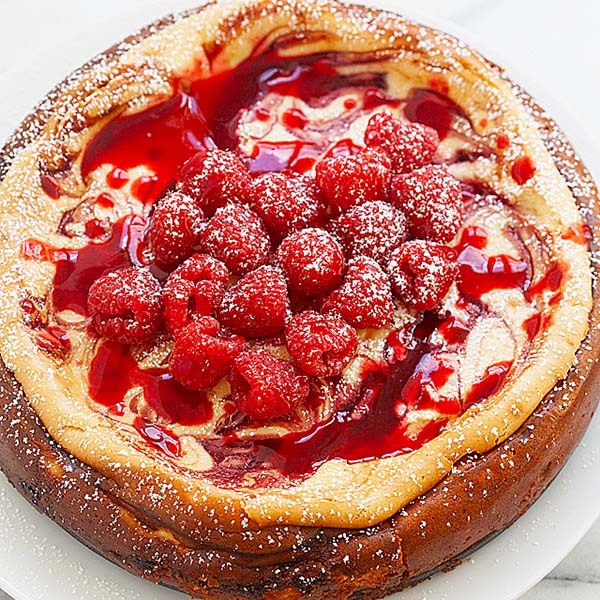 i am a housewife and very fond of cooking new recipes specially sweet dish. This was sooooooooo….. delish! Just like at my favorite local Japanese restaurant. There is one downside however – my kitchen smelled very fishy the whole day – are there any tips on how to avoid this? The only thing I can think of is dumping the marinade in a trash bag outside immediately vs. pouring it down the kitchen drain. Hi Sawhster – I agree, fish smells after cooking and eating. There is really nothing much we can do other than opening the windows, let the air in, and yes, trashing everything ASAP. LOL. Hi Rasa! did the Nobu cookbook have any suggestions about what to serve with this black cod? I am thinking about making it for a dinner party and was imagining maybe soba noodles in some sort of sauce, or something else interesting. What would you serve with it, for a main course? Thanks for the amazing posts! My mouth is watering just looking at your pictures! I think Soba is a good idea. No, this is supposed to be a main entree, even though it’s very light. I tried this last night and also added a bit of garlic and ginger. I grilled it lightly on both sides with an outdoor bbq grill and then I broiled it onto a greased pan at 400 F degrees for almost 4-5 mins each side. The color didn’t turn out golden brown like yours and some pieces flaked off. In the end I served it with plain white rice with some of the sauce. The flavor was amazing but the fish was dried and not as buttery as Nobu’s. I was slightly disappointed. Was it b/c I broiled it instead of baking it? How come it tasted dry? Thanks! Great photos you have! Hi Alice, I think you overcooked the fish, that’s why it’s dry. Black cod is a very oily fish. I think you should just bake it (wrap with foil if you want it to be moist) and then broil for 1-2 minutes on both sides the most. Thank you so much for the recipe. 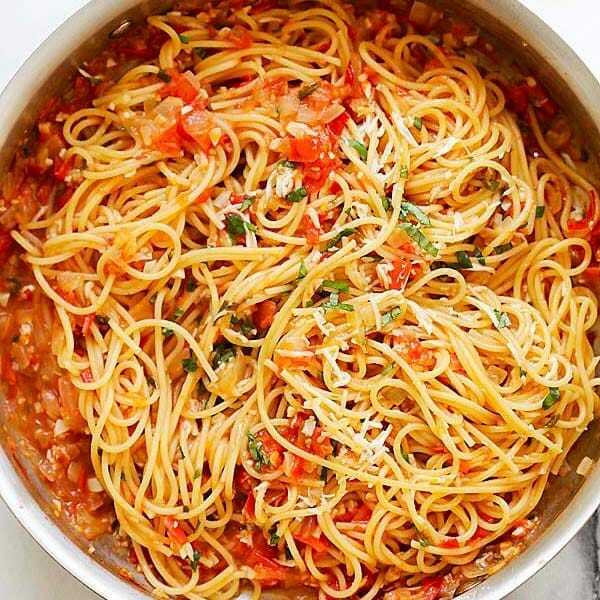 I am a huge fan of this dish and can’t wait to taste it… before I do my shopping, please advise if I should buy the Mirin 8% alch or Mirin 0.9% (cooking). thx thx and thx again! Hmm, I actually don’t know there is a difference. Just buy mirin used for cooking. Hi Rasa, I love your recipes and your food photos. What camera/lens do you use? Any special light that you used. The food looks delicious! Thanks a lot for the recipe I have tried it and it was very nice but not so as they serve it in Nobu…and I love it how they make it in Nobu. Firstly, I could not grill it so nicely as you have done it in your pictures; somehow my grill dried the fish out and did not grill it nicely but more like burned it..(I have a built in electric grill into mu electric oven…could it be the problem?) and overall the whole fish felt very dry and not so juicy like yours; please advise if you know where I could improve. I am sorry but I am not sure what went wrong as it’s very hard to gauge from your description. Perhaps you can lower the temperature the next time and not overcook it. I just came across your blog today for the first time. Great food articles and photos – I was blown away by them. I really like the attention to detail in your posts, and the wonderful colors and clarity of the photos of the dishes you write about. I have been to Malaysia and liked the country, people and food a lot. Plan to visit again. I’ll keep reading your blog. Do you think that you could grill it earlier in the afternoon and then bake it just before serving??? Hi, I tried this recipe yesterday and the cod came out incredibly salty! I tried to follow it exactly as you wrote. Instead of grill, I pan seared it and instead of marinating overnight, I marinated for only 2 hours. I’m wondering if it’s the type of miso I used? I’m not sure what white miso is. The miso I got is a light yellow. Can that be the problem? Where do you purchase Black Cod? I’m in the northern CA area and none of the grocery stores around me seem to have this fish! I was on Crystal Cruise for 1 day (long story) and I was lucky enough to eat in the Nobu restaurant on the ship and had black cod. It was so delicious. And I keep reading that black cod has more omega 3’s than even salmon and since I do not like salmon, I’m excited to add it to my diet… problem is I can’t find it! Any help would be appreciated. I bought at Japanese markets! You can now find black cod frozen at Trader Joe’s. Oh, and by the way, it’s excellent! Thanks for sharing this recipe! I made it for dinner tonight, but used halibut instead of cod. I only marinated it for 6 hours and served it with some carrots and snowpeas sauteed with garlic, ginger and a dash of sesame oil. It was amazing! I have made this a number of times with black cod or with Chilean Sea bass. It is excellent with any fish but especially with something that has some fat/oil within. Miso is very useful for a number of receipes so the fact that you usually have to buy a 1 lb container should not be a problem and it keeps for a long time as long as you wrap it up in a plastic bag. I make a fried long eggplant/green pepper with ground pork dish that uses mirin,sugar and miso as a final touch. I think this is what the Japanese call Kasasuki Black Cod. Cod is marinated in sake lees (leftovers from the Sake wine-making process), looks like your version will get close to the same flavors. They sell the real Kasusaki marinade where I live but it’s expensive. Hi there! I have been to Nobu and I absolutely adore this dish! Thank you so much for putting it up :) By the way, I can’t seem to find fresh black cod here in Australia, is it possible to replace it with murray cod? Thank you and I love your blog and all your recipes!! Is there any reason that this wouldn’t work with chicken breast instead of fish? Fantastic!! I am sure this is THE BEST recipe for Cod Fish. Simply delicious and the fragrance will make your saliva dripping. I tried this recipe 3 years ago through your website and I am still doing it. All ingredients are available in any supermarket or store selling Japanese foodstuff. Thank you RasaMalaysia for this incredible recipe. Nice photos, whats the green thing called? I want you to know for the past 8 years I’ve been following many sites regarding recipes. By far you have the best site I’ve ever seen, your selections surpass anything I’ve seen in all these years. 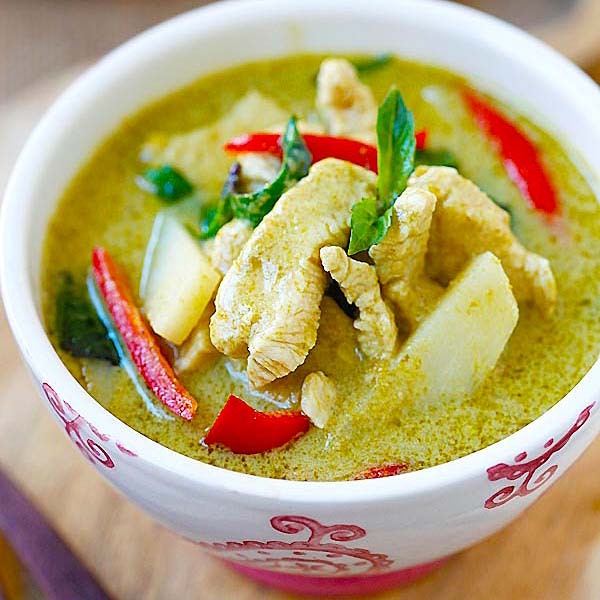 I hope anyone looking for the best in fine Asian foods has your great site. My husband and kids loved this dish! Thank you so much for sharing! They enjoyed it so much that I included it in our weekly favorites for Blood Type A’s. Is it possible to make this without the sake? Not the same, you need sake. Hi there, I tried your recipe and did not broil but pan seared it before baking. However there was a sourish taste. Is it suppose to taste slightly sourish? Thank you. Awesome recipe!! Cooked it several times since having a similar dish at a restaurant. Making it again tonight :o) Love your site!! Thanks Andrea. I am so happy that you love my recipe! Trying this recipe today! Do you use Sake from the liquor store, or use cooking Sake from the Japanese grocery store? Cooking sake from grocery store. Thanks for sharing this recipe! Do you know if this recipe work just as well on black cod on-the-bone steaks vs black cod fillets? Where I live the fish steaks are cheaper than fillets. Thanks for sharing this recipe. I’m a big fan of Japanese food, and this cod looks amazing! Simple, healthy and classy! I’ve been looking for this recipe for years! Thank you so much. Unfortunately I can’t use any wine in my cooking due to halal diet. Is there any way to make miso sans alcohol? It won’t taste the same. NOBU RECIPE CALLS FOR DASHI. Doable with yellow fine tuna? White fish is better, but you can try.